Gameclub has been launched with the aim of funding developers to update classic iOS games currently can’t be played on modern iPhones and iPads, both to introduce these games to new audiences and to preserve the history of gaming on the App Store. The App Store made the iPhone a hit but more than anything else, it was the games in it that really took off. When the App Store began, we all suddenly had games that you could download in an instant and which typically cost a buck. That bargain price, though, has regularly made it impossible for developers to fund the costs of keeping a game working. 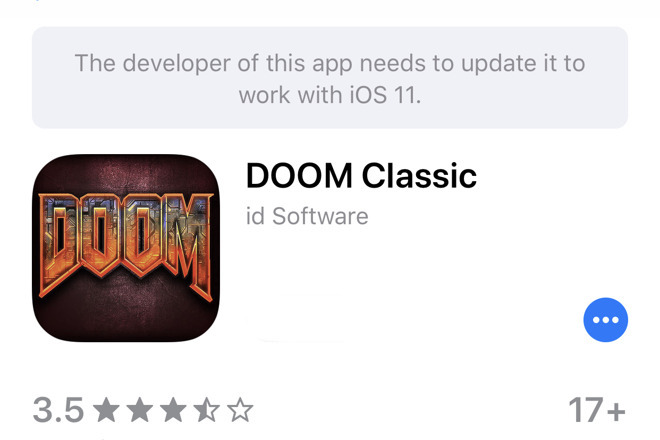 Gaming journalist Eli Hodapp has co-founded a new startup called GameClub with the intention of preserving old iOS games by updating them. As iOS itself developed over the years, many one-buck games ceased to work and were dropped from the App Store. Now there are swathes of them that simply cannot be played on current iPhones and iPads. GameClub wants to fund updating these classic games to make them available to everyone. As well as the move from 32-bit to 64-bit for all apps in the App Store, there have been dozens of other changes to iOS. Hodapp says that some are technical ones such as “operating system compatibility fixes [and] processor architecture changes”. Others, though, are cosmetic. “You have to support new screen sizes and resolutions,” he explains. It all comes down to the cost of keeping up development on a $1 game sold ten years ago. As well as the time needed to make these updates, there is also a mandatory $99 fee that Apple charges all developers. “Even great games can vanish from the App Store incredibly quickly if the developer can’t make business sense of the annual developer fee,” says Hodapp. Hodapp has quit his job as editor-in-chief of the gaming website TouchArcade in order to work on raising funds to pay for updating classic games. It’s not clear yet just what that beta program will provide nor which games may be saved by GameClub. As well as the issues of who updates the code, there are then questions about who owns the rights and who will gain from any revenue from a game. It’s unlikely, for instance, that a game using intellectual property from Hollywood, or licensed and available on other platforms will appear on such a platform as GameClub. GameClub currently consists of Eli Hodapp, Dan Sherman, and Oliver Pedersen, with the company operating out of New York and Copenhagen. The company is now recruiting for marketing staff and inviting users to sign up for a forthcoming beta program.